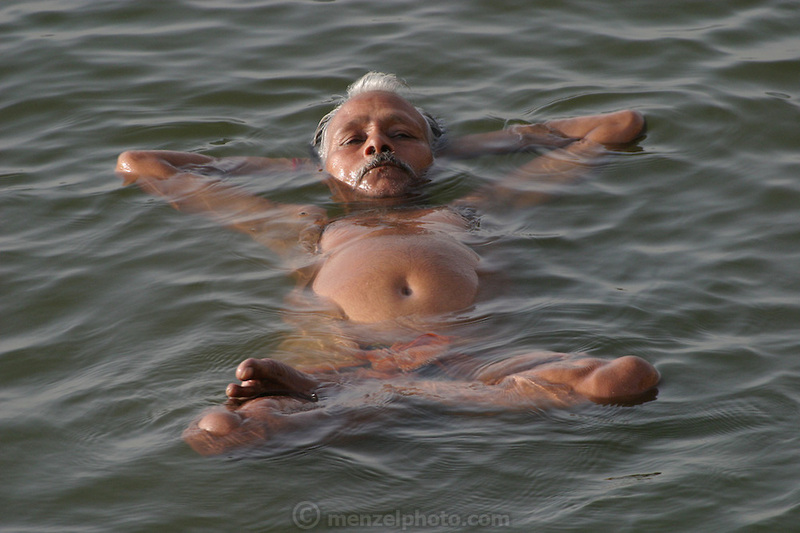 A potbellied man floats during an early morning swim in the river Ganga. Near the Dashashwamedh ghat. Colorful and popular Dasasvamedha Ghat gets a lot of attention from religious pilgrims, locals, and tourists alike and is one of the busiest bathing ghats in the city of Varanasi.